Guide: 6 Best Kodi Live TV Addons for 2017 That Actually Work! Streaming video on-demand is both convenient and time-saving. You don’t have to wait for a specific time to watch your favorite shows, unlike traditional TV broadcasting. Live TV, however, still has its perks. For instance, events such as music and video award ceremonies are usually broadcast live. You can watch them afterward, but by then you’ve already seen the spoilers on social media. Whatever the reason, if you desire live TV, you can get it through Kodi. It’s important to understand, however, that there are both official and unofficial Kodi add-ons for live streaming content. Whether you’re streaming Kodi on your computer, Amazon Fire TV device, or elsewhere, the add-ons you install will the same. Our guide specifically focuses on the official Kodi add-ons that offer legal streaming access to live TV. At the end, we’ve given a detailed overview of popular unofficial, third-party add-ons that you may see listed elsewhere. We’ve provided more information regarding what these add-ons do and why we recommend the official add-ons instead. VPNs encrypt your internet traffic and reroute it through a server in a location of your choice, hiding your location and identity. Whether you’re using official or unofficial Kodi add-ons, streaming live TV sources through some Kodi add-ons may not be sanctioned by your internet service provider. Bearing this in mind, they may then try to throttle your connection when you use a service such as Kodi. However, speed throttling is not the only concern when using Kodi with different add-ons. There are privacy and security risks that exist for all kinds of add-ons. Kodi add-ons can be used to implement man-in-the-middle hack attacks on Kodi users. When download and run a Kodi add-on, you’re often doing so through unsecured connections. The add-on itself can be hijacked and used to monitor your internet data, steal passwords and usernames, and even to access your computer hard drive. While some users turn to running Kodi in a sandbox, avoiding this situation by encrypting your data traffic is an easier, more preferable way to manage many of the security risks involved. Kodi users have lost data and had their devices hacked in the past, with some add-ons, such as the Exodus add-on, being used to create DDoS botnets. To avoid this, connecting to a VPN is recommended when using Kodi. A VPN will ensure your data is not exposed through add-on streaming. Note that VPNs also allow you to access geo-restricted content and protect your online privacy. Streaming requires a large amount of bandwidth. Live streams, in particular, don’t compress video as much and thus require more download bandwidth. A reliable, fast, and secure VPN provider is essential. We recommend IPVanish, which is a popular choice with the Kodi community and provides the necessary sturdy connection, plentiful capacity, and a high level of privacy protection. We can confirm that IPVanish works with all Kodi Addons we’ve tested and is very popular within the Kodi community. If you want to to try an alternate provider you can find our full list here of recommended Kodi VPN services. Deal alert: IPVanish have offered our readers a 60% discount on their annual plan here. and a 25% discount on the monthly plan. Tip: If you are using Kodi with an Amazon Fire Stick IPVanish can be easily installed directly to the device. See our VPN Fire Stick installation guide for details. 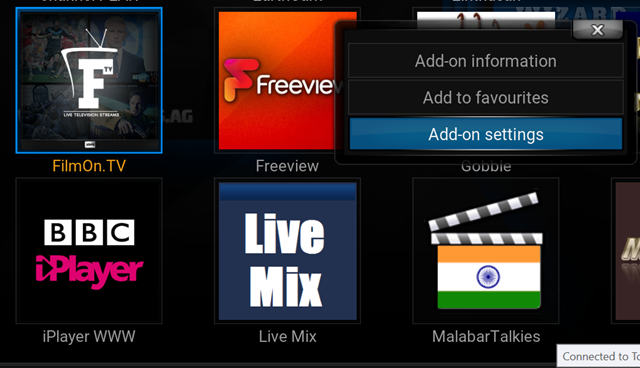 Below, we’ve listed and described the best live TV Kodi add-ons. You’ll find a mixture of add-ons that provide live TV streams legally and for free, with some that give you access to great channels through premium subscriptions. 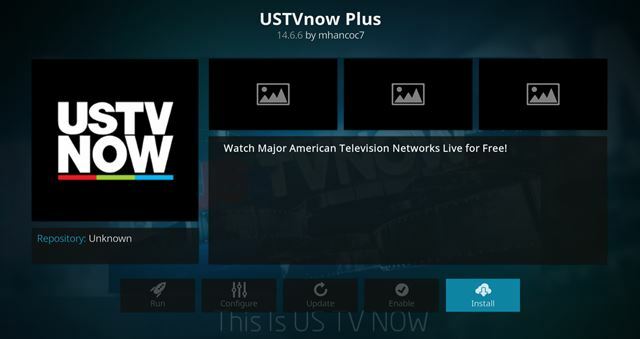 Before using USTVnow Plus, you will first need to sign up for an account here. 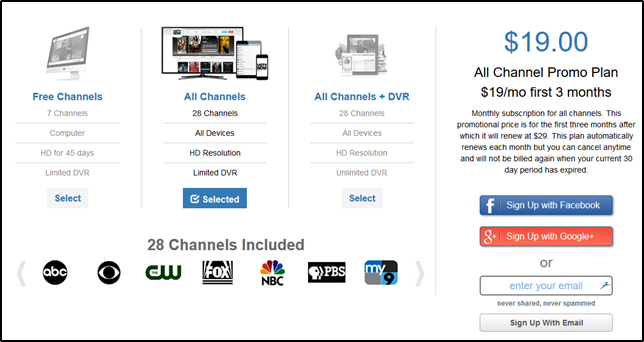 The add-on offers seven US channels for free with a free subscription, but there are affordable paid subscriptions available which offer up to 28 channels in HD resolution. Channels such as ABC, The CW, PBS and Fox with USTVnow Plus are present. You’ll find USTVNow available in the SuperRepo repository. 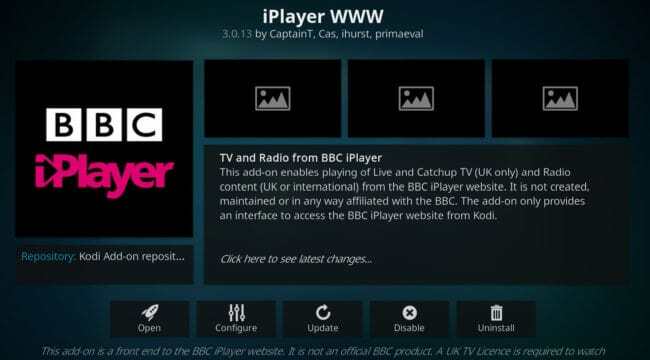 iPlayer WWW offers all of the content available on the popular BBC iPlayer site. Both on-demand content and live content can be found on iPlayer WWW. Please note, however, that a UK IP address is necessary in order to view content on iPlayer and by extension iPlayer WWW. Additionally, the BBC iPlayer is only available for those with a valid BBC TV License. If you are not actually in the UK, then a VPN is recommended to change your IP address to one from the UK. Simply select Watch Live to begin watching the available live content from your favorite BBC channels. The BBC iPlayer add-on is available in the official Kodi add-on repository. Available in the SuperRepo repository, FilmOn Simple contains a multitude of channels. The categories range from Business TV, Music and Entertainment to Lifestyle and Body & Soul. Content is in English as well as other languages such as Russian and Italian. You can also find live radio content through FilmOn Simple. If you experience problems playing back content with this add-on, hover over the add-on and right-click/press “c” if you are using a standard USB keyboard, or press the “guide” button on an MCE remote. 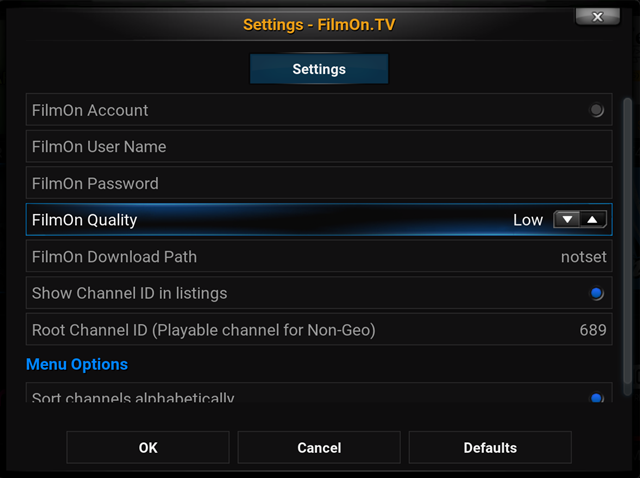 Select Add-on settings and set FilmOn Quality to Low. This should help if content sources never seem to begin playing. If you have a PlayStation Vue account, you can access it through the PS Vue Kodi add-on. 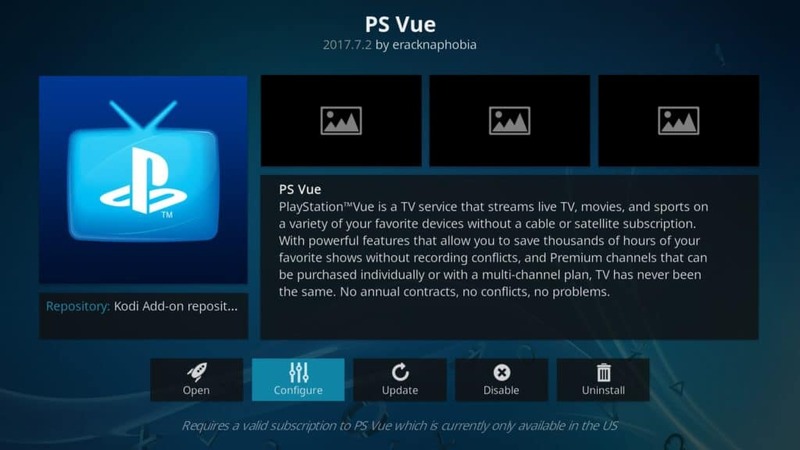 Fully legal and available through the Official Kodi Add-on Repository, the PS Vue add-on allows you to enter in your PlayStation Vue credentials and watch your live TV directly through Kodi. Why use Kodi over the PlayStation Vue app? Kodi does it better. As a media player, Kodi offers up a better viewing experiencing than the PlayStation Vue app on many devices where it’s offered. Additionally, you can more easily switch between different services using the Kodi add-on for PlayStation Vue, making the PS Vue add-on a great way to view your subscription service. If you have a Sky account, you can access it through Sky Go. That also means you can use the Sky Go Client add-on to gain access to your Sky streams as well. 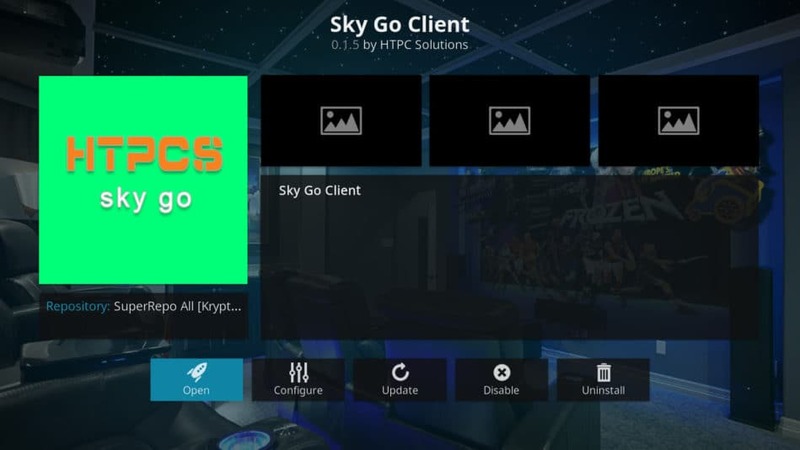 Almost all of Sky’s streaming content is available through Sky Go, and therefore, the Sky Go Client, with the exception of Sky Sports Box Office events. Box Office, which operates like Pay-Per-View in the U.S., are not viewable and can only be accessed through other means outside of Kodi. Sky Go Client only works for UK residents and only those who have official account credentials. You can enter those credentials into the add-on once you load it up, then get access to your streams. Sky Go Client is available through the SuperRepo repository. While many Kodi add-ons offer legitimate content, some considered unofficial. These add-ons are highly popular but range from gray area to more legally dubious. Below are some of the add-ons you may find recommended on other sites for live TV. What is it? 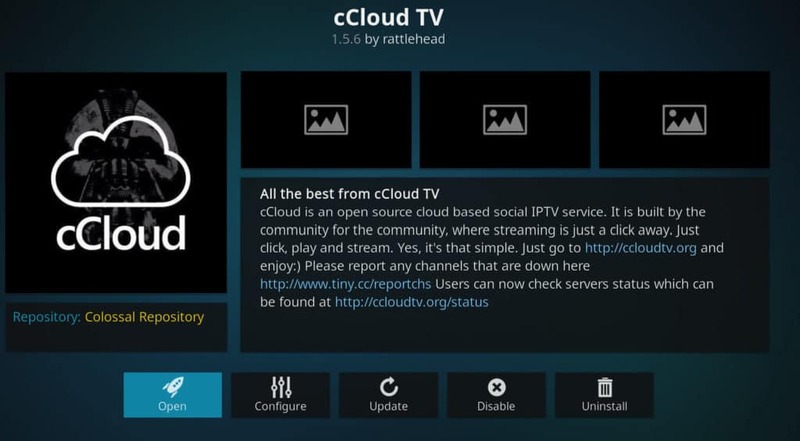 cCloud TV is an IPTV Kodi add-on with a large user base and a wide variety of content in multiple languages. cCloud TV scrapes the web, looking for different streaming options from a large variety of sources, which at this time of writing includes several thousand channels from across the globe. Why should you avoid it? While popular, the vast majority of what cCloud TV offers is pirated content streams. Although there are there are some channels listed, such as publicly available webcams, that can be rebroadcast without any questions to copyright, most of that is not true from cCloud’s content offering. We do not recommend cCloud TV as a live TV streaming source given this add-on primarily offers pirated streams. The other, legal options on this list provide better content with higher quality. What is it? Quantum provides a large selection of live TV channels from several sources. Quantum offers a large amount of content and is highly popular among third-party add-on users due to its strong developer support and large selection. Why should you avoid it? Quantum has the same issue as cCloud TV: you might be able to find a perfectly legal stream here or there, but you’ll be hard pressed to do so. 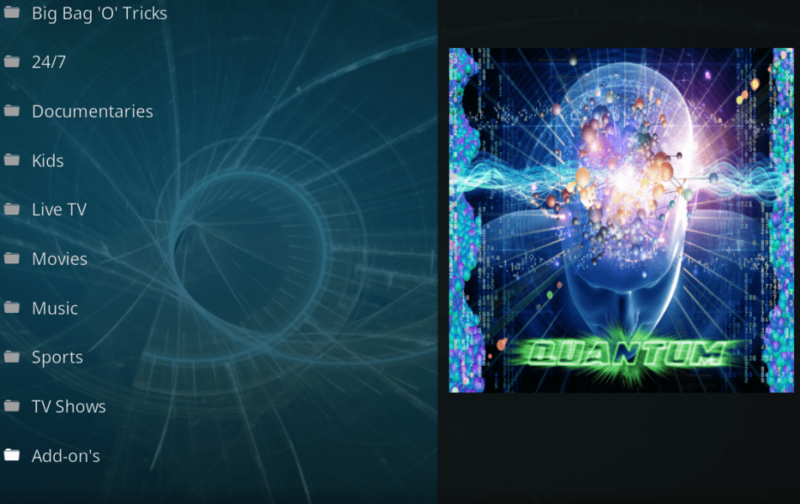 Instead, the vast majority of what Quantum offers is pirated content. For that reason, we do not recommend Quantum for live TV streams. The other options the official add-ons list provide a better viewing experience. What is it? UK Turk Playlist is a bit of an elusive monster. The primary reason for this is that the developer continues to skirt UK law regarding pirated streams. Indeed, this is the primary focus, but not the only focus, of the UK Turk Playlist add-on. 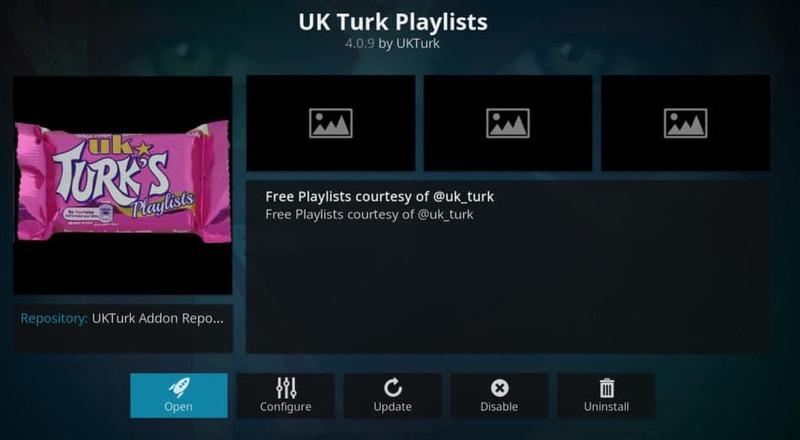 UK Turk Playlists offers up primarily US and UK channels through somewhat dubious means. It is not scraping from other sources, like cCloud, but offering these more directly. Why should you avoid it? UK Turk Playlists is popular due to its quality, but it’s a quality that’s born from more flagrant piracy. We do not recommend UK Turk Playlists for live TV streaming, given the developer of this add-on does not have legal rights to stream the content. See also: The best Kodi movie add ons for 2017. I was wondering if there is nice decent IPTV player like NEOTv what is working as a APK for Android. I think it’s based on VLC Mediaplayer. Thanks for pointing this out. I will look into this and try to get a working github USTVNow.